Progress in the greenhouse has been pretty slow, but things have been growing along steadily. We've lost less than 5% of what we planted and transplanted which I think is pretty good. 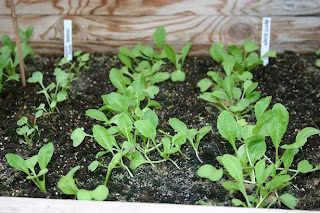 The radishes above are taking off, and we'll be thinning them in the next couple days. It's still a hard concept for me to wrap my head around. 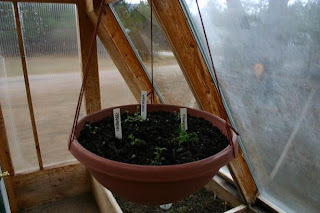 I've added a couple hanging baskets in the greenhouse. The one pictures contains some marjoram, chamomile, lavender and violas. I hope it looks pretty once everything grows up! 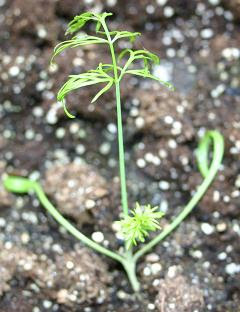 The fennel definitely looks like fennel. This must be a good sign, right? Burpee's golden beets. These are finally starting to get a little bit bigger. Maybe in the next month or two we can thin some of these out and eat the greens. This is bibb head lettuce. 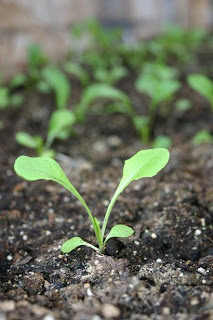 All of the leaf vegetables (arugula, endive, winter density lettuce) have been doing very well and making good progress. Lastly, an update on the development of our garden. 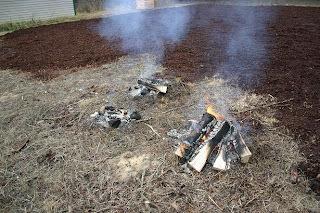 We're almost done mulching, but decided to burn out some stumps that were left at the edge of the garden before we mulch that area so that we don't set the mulch on fire. Good plan, eh? Once these get done burning, it'll take a couple more truckloads to finish mulching the garden. I'm already drawing up designs for the garden, figuring out fencing and thinking about ordering seeds in the next couple months. Very good progress with the mulch! Lucky you to have it so much (and its free, if I recall)! 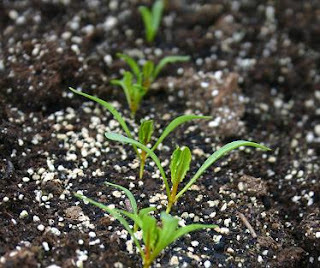 Nobody told me that I will be having weeds also in my greenhouse... do you have same problem? I've got a couple weeds or volunteer plants in there. Right now we're letting them grow a little bit so that we can figure out what they are! Our major problem has been white mold and a greenish kind of mold growing on top of the soil in the greenhouse. I guess I'm watering too frequently and we could use some sort of fan in there. I also have a problem with green mold on my soil in the greenhouse. And it is due to humidity. But as its closed circle: watering, evaporating, and falling down - I just cant help it. I just do a little digging around plants and that’s it.